"The core in the classics is wider. If we sit in front with more riders, our chances are better. That motivates me because it brings the group to a higher level." With Jürgen Roelandts and Jens Debusschere, Lotto Soudal has two strong riders for the Flemish spring. Sporza made a double interview with the two former Belgian champions. 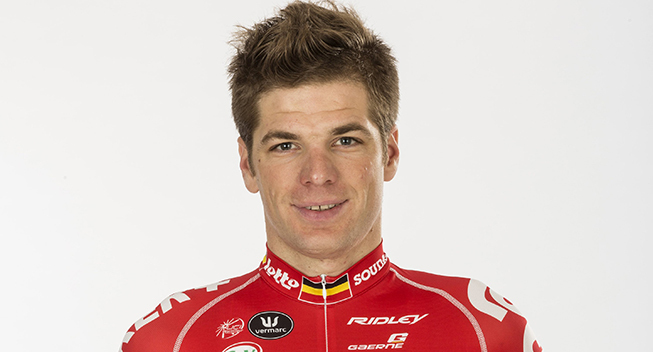 "Sometimes I ride too much with my heart and then you pay the bill," explains Roelandts. Sporza asked the pair a series of questions. Can one of them win a classic? Jürgen Roelandts: "The core in the classics is wider. If we sit in front with more riders, our chances are better. That motivates me because it brings the group to a higher level." Jens Debusschere: "I was hoping Jürgen would stay ahead because I knew it would be hard for me. I did not have a wonderful day but in the races in which Jürgen feels so good, he should perhaps listen more and not do what he wants. Jürgen Roelandts: "I race much on intuition and my heart, but I pay the bill. I'll have to stay closer to Jens." Are Debusschere and Roelandts also rivals? Jürgen Roelandts: "I look forward to riding the finales as a pair. And I'll be equally happy if he wins. Do I miss the ambitions? I train very passionately and my career will only be successful if I win one of the spring classics." Jens Debusschere: "It was very important to achieve a big win and I succeeded in Tirreno-Adriatico. In the classics I also made a serious step. Hopefully, this year will be even better..."